Remember when flicking through vinyl in your local record shop was a thing? Well, it's back and it's even better (possibly), because now you can do it on your phone. 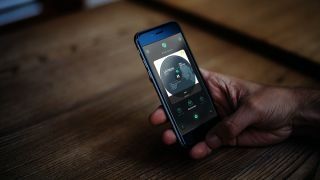 Trackstack has brought back crate digging for iOS with a new app that can access store collections and bring them right to your fingertips. Currently only set up with access to Beatport (more outlets are on the way), Trackstack will enable you to filter down selections from your favourite retailers to find the tracks you want with ease, leaving you to create your own collections and customised Stacks to help you build your next set, mix or broadcast. The app is available now on the App store for free. For more information, head on over to the Trackstack website.